Two-thirds of the homes in San Francisco are worth at least $1 million. 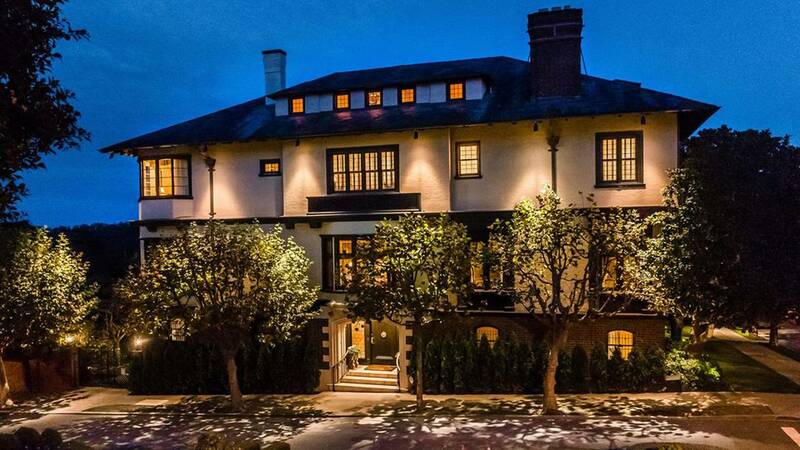 This nine-bedroom Tudor estate in Presidio Heights is listed for $25 million. While affordability and supply continue to bedevil the average American homebuyer, the market for ultra-luxury houses is growing like never before. The share of U.S. homes worth at least $5 million increased nearly 20 percent in the last year, according to an analysis of 100 metro areas by the online real estate site Trulia. Although living that large is still a rarity in the U.S. -- just .28 percent of all homes are valued at $5 million or more -- million-dollar homes are more commonplace as well. More than 4 percent of 2017 listings in the largest metros were valued at $1 million or more -- or roughly four times as many as in 2002. Indeed, in some areas, a million-dollar home is par for the course. Since 2012, the share of homes worth $1 million or more in San Francisco grew three times to about 66 percent of all properties. Across the Bay Bridge, in Oakland, there were five times as many homes valued at $1 million or more in 2017 than in 2012. But Cheryl Young, a senior economist at Trulia, said the analysis shows that $1 million is no longer the standard for luxury living. "The bar for owning a million-dollar home has dropped considerably over the years as these homes have become more prevalent in the housing market," Young said. "Five-million-dollar-plus homes now epitomize the new threshold for entry into luxury real estate." So what are the big differences between a $5 million home and the relative shacks the rest of us stumble in and out of every day? They're a lot bigger, of course. The typical U.S. home with a median value of $280,000 clocks in at about 1,900 square feet, with three bedrooms and two baths. Meanwhile, Trulia's analysis shows a house with a median value of $7.4 million will have five bedrooms and six baths and cover about four times as much land. They are "nearly synonymous" with ocean- and beachfront access and stunning views, Trulia found. And then there are quirky amenities, like bulletproof glass, helipads and indoor golf, that distinguish the lavish life from the simply luxurious.